Osteoporosis is often called “the silent disease,” because it slowly weakens bones, especially in the hip, spine and wrists, without symptoms. Some 54 million Americans have osteoporosis or low bone mass, according to the National Osteoporosis Foundation. 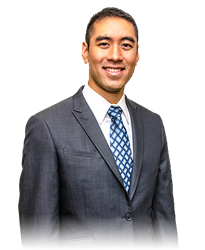 Yet, a disconcerting number of those who have experienced abnormal fractures – ones occurring after a fall from a standing position or less – do not equate these accidents to the state of their bone health, says Kaliq Chang, MD, interventional pain management specialist with Atlantic Spine Center. “The findings from a recent Harris poll are especially worrisome. Ninety-six percent of the respondents who had not been diagnosed previously as having osteoporosis, but fell and broke a bone simply from a standing position, indicated they were never told by their physician that the problem may be due to bone disease,” says Dr. Chang, who specializes in pain management. He was referring to an August 2017 national survey to test the osteoporosis awareness of more than 1,000 postmenopausal women, age 50 or older. Eight-two percent with abnormal fractures failed to identify them as potential signs of osteoporosis, which causes loss of bone mass and makes bones more fragile. Nearly half the respondents – both those diagnosed with osteoporosis and those not – blamed their fractures on clumsiness. Besides gender, other osteoporosis risk factors include genetics and a family history of osteoporosis, advancing age, calcium and vitamin D deficiencies, smoking, certain disorders like rheumatoid arthritis, excessive alcohol consumption, low body weight and some medications, such as chemotherapeutic drugs. Although patients worry more about cancer, heart disease and other serious health problems, osteoporosis can have a considerable impact on quality of life, causing pain, lost work time and disability. It can even lead to death, Dr. Chang says. He cites statistics indicating as many as 30 percent of patients who sustain hip fractures due to their bone disease will require long-term nursing care; approximately 20 percent will die within a year due to complications indirectly stemming from the fracture. Even more common than the broken hip bones are spinal fractures – often called vertebral compression fractures. Affecting some 700,000 patients annually, these fractures can be the first sign of osteoporosis, Dr. Chang says. They occur when spinal vertebrae weaken from the bone disease, becoming flatter and more narrow and unable to withstand pressure, Dr. Chang explains. Even simple tasks like twisting or reaching for something can break these vertebrae in patients with osteoporosis. Vertebral fractures result in sudden onset of back pain, especially when walking or standing; limited mobility; and even loss of height, Dr. Chang says. “Vertebral compression fractures can be treated with a minimally invasive procedure called kyphoplasty, which can offer pain relief and halt the collapse of the spine of caught early. Patients can walk out after the procedure and feel immediate improvement,” adds Dr. Chang. Most recommended approaches to treating osteoporosis involve lifestyle changes, which include weight-bearing exercises like walking and a balanced diet with foods rich in calcium and vitamin D; calcium supplements; and medications that either stop bone loss and increase bone strength or enhance bone formation, Dr. Chang says. Meanwhile, scientists continue the search for new therapies to fight osteoporosis. In an article in the May 2016 journal, Stem Cells Translational Medicine, authors reported that injection of a specific stem cell into rodents reversed their osteoporosis and bone loss – a technique that may prove beneficial to human patients. A 2015 study indicated that growth hormone, in combination with calcium and vitamin D supplements, might reduce the risk of fractures. Improve your diet. Eat plenty fruits and vegetables and increase calcium by consuming calcium-rich foods like dairy and dark green vegetables. Avoid too many products high in animal protein. Make sure you get sufficient vitamin D.
Limit caffeinated drinks and decrease consumption of salty, processed foods. Smile. A 2015 study indicates older women with a strong sense of well-being have greater bone density than their unsatisfied counterparts.